Now that we are becoming extended stay campers, we feel that our style of camping is changing. 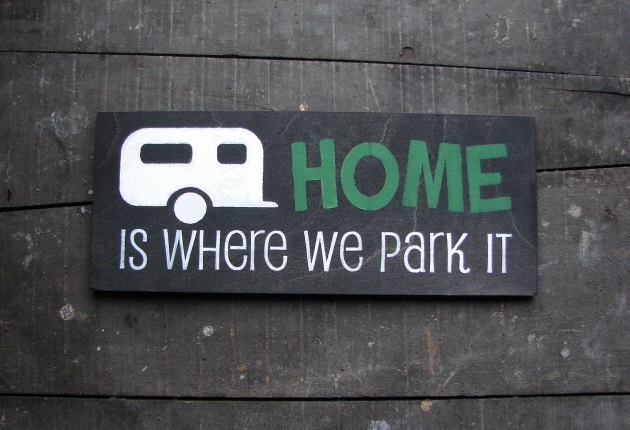 We always looked at seasonal campers and their sites and wondered why they had so much “stuff” at their campsite – full sized BBQ, bright lights, patio sets, bug zappers, sheds, decks, etc. Now that we know that we will be staying at one site for the entire season, the wheels in our heads are turning. I now understand why people had all that “stuff” on their sites. 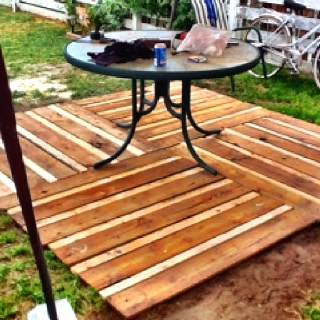 One of the first things we have planned was a deck. 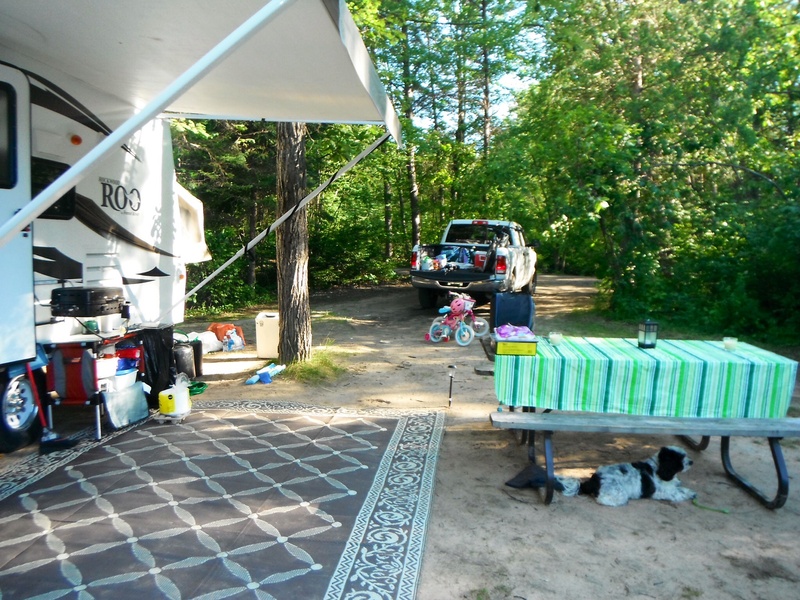 In previous years we always used a carpet and enjoyed the benefit that it brought to our campsite – a clean trailer makes for one happy camping mama! But now that we are going to be at the campsite from May till October, I have a feeling that a carpet will not be able to withstand the elements and traffic as well as a deck would. So we searched for cheap decks and we were instantly inspired! 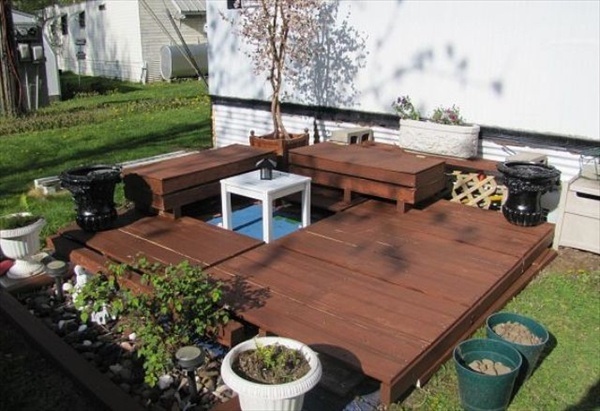 Luckily my husband is handy and could easily make this deck for me; however my husband is busy and he has a pretty long “honey do list” already. So, I asked a friend of mine to help me out. He is a construction Teacher at a local high school and is always looking for small projects to challenge his students. Although this may not be a big challenge for them, he readily agreed to take the project on. 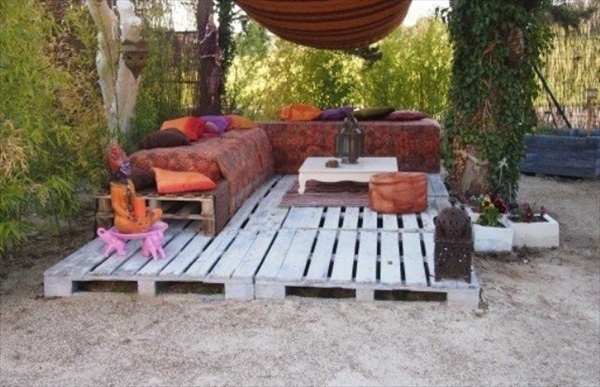 So now I need to find about 30 pallets – 15 for my deck and 15 for our friends deck. I will post pictures of the finished product – stay tuned! 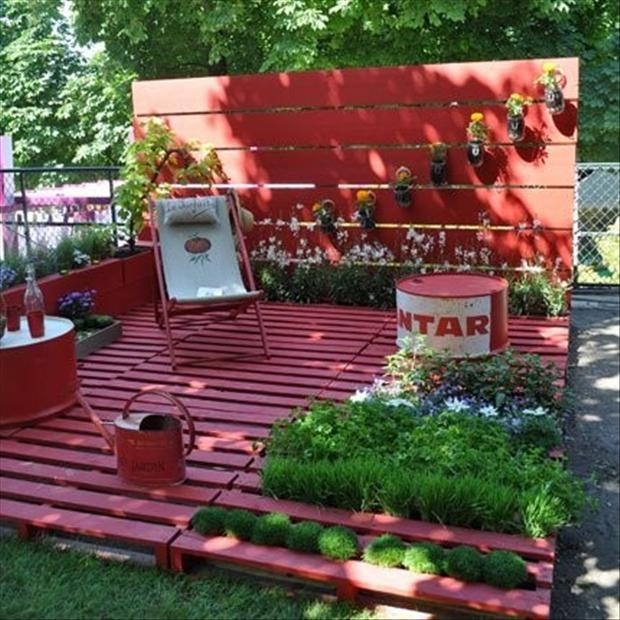 This entry was posted in Trailer Organization, Modifications & Storage Solutions and tagged Bonnchere Provincial Park, Campground, Camping, Campsite, Deck, Decorating, DIY, Outdoor, RV, Seasonal, Travel Trailer. Bookmark the permalink.